Steamed Chilli Crab Dumplings from Din Tai Fung! / IISJONG | Singapore-Australia Lifestyle & Travel Blog IISJONG | Singapore-Australia Lifestyle & Travel Blog: Steamed Chilli Crab Dumplings from Din Tai Fung! Steamed Chilli Crab Dumplings from Din Tai Fung! Woohoo! The annual Steamed Chilli Crab Dumplings promotion is back at one of my favourite Michelin Star restaurant, Din Tai Fung. This mouth-watering dish was stimulated back in 2007 from Singaporean's love for the internationally-renowned dish of chilli crab. Since then, this exquisite creation captured the hearts of many fans, thus leading it to being offered year after year by popular demand! 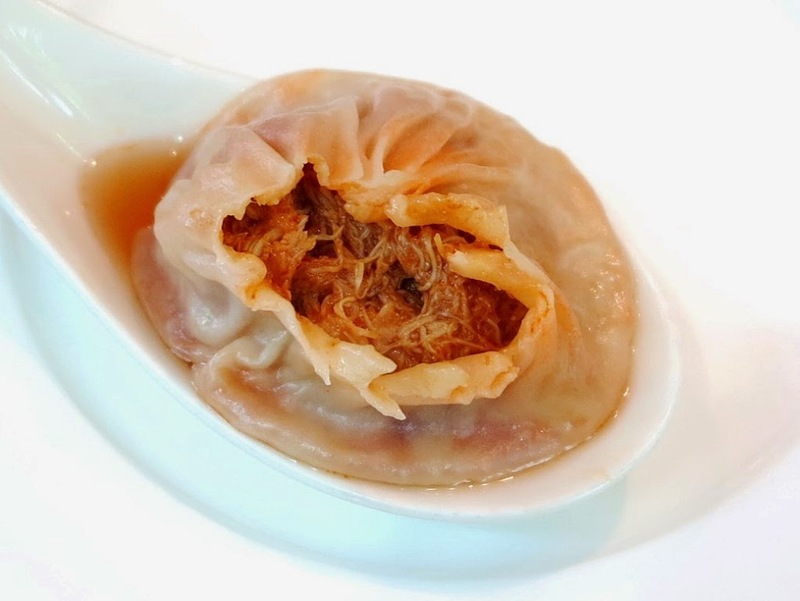 The Steamed Chilli Crab Dumplings is a delicacy made up of a winning combination of fresh crab meat in a spicy chilli crab-based broth encased in a thin dumpling skin. Meticulously handmade by a team of devoted chefs dedicated to their craft, these localised dumplings preserve the brand’s characteristic of 18-folds! Furthermore, they are 40% bigger in size than the establishment's signature Steamed Pork Dumplings. 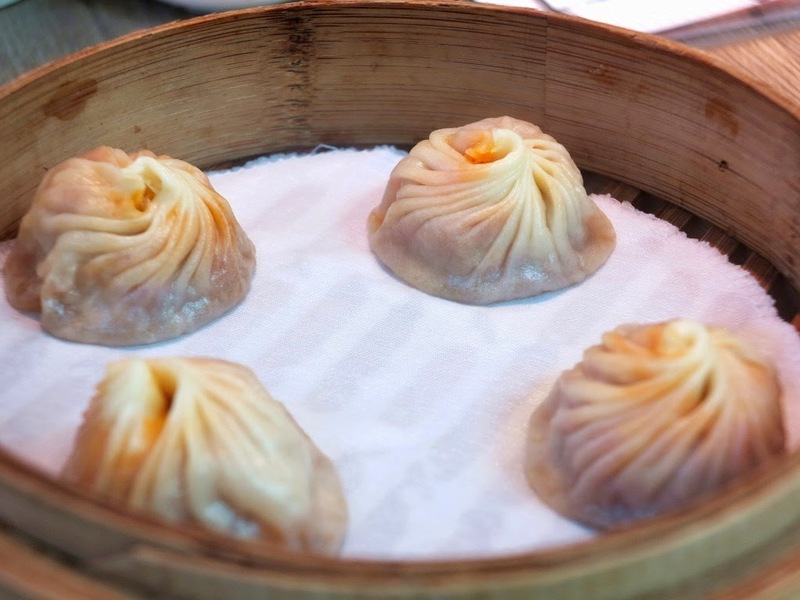 If you are a chilli crab and/or xiao long bao lover, you must try this for yourself! I cannot take anything too spicy, but the Steamed Chilli Crab Dumplings was just right for my palate. This is a dish that left me wanting to go back for more. 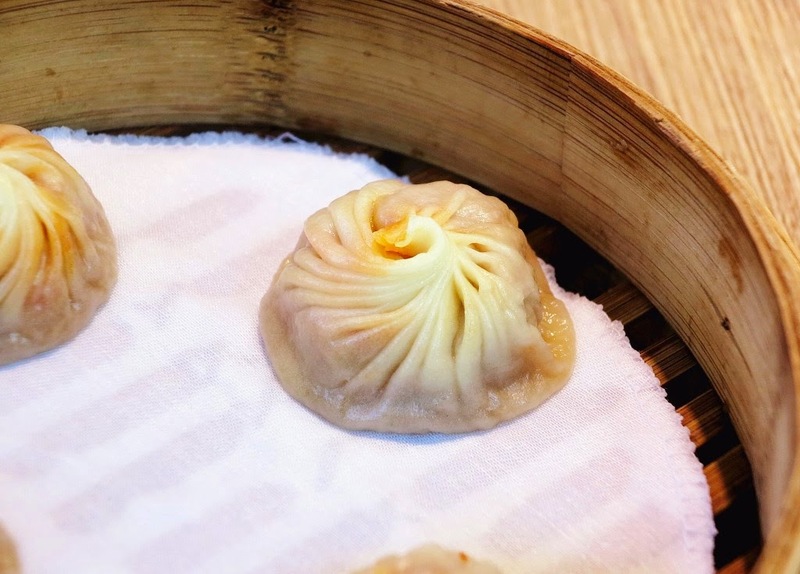 These limited edition dumplings are priced at $7.50 for four pieces. They are available at all Din Tai Fung outlets from 1 July to 31 August 2014.